Changes have been occurring at OSHA in recent years. More than two years ago, the agency replaced its program targeting chronic violators of OSHA standards with one officials hoped would lead more employers to take steps that go beyond simple hazard abatement. The agency has increased the number of press releases publicizing hefty fines or violations of less-common standards. And during the past couple of years, OSHA has been transitioning to a newer data collection system that officials believe will allow for better tracking and evaluation of data. This new system – the OSHA Information System – supplied the data for this year’s list of the Top 10 most frequently cited OSHA violations. Because the agency is still in transition with the system, the data presented in this year’s annual Top 10 article should be considered preliminary, as it does not reflect all the violations issued during fiscal year 2012, which covers the period of Oct. 1, 2011, through Sept. 30, 2012. However, not everything OSHA does can be summed up by what is presented in the Top 10 list. 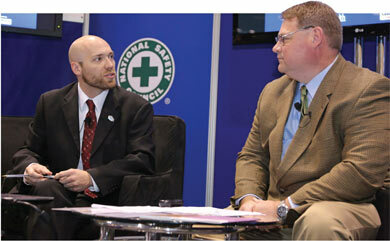 In an interview with Safety+Health, Patrick Kapust – deputy director of OSHA’s Directorate of Enforcement Programs – explains how other changes at the agency are hopefully improving safety across the country. “Our emphasis is for employers to correct hazards,” Kapust said.